Lupus and Hair Loss: How Long Will It Last and What Can I Do About It? The team at True & Dorin Medical Group have years of experience helping men and women who experience hair loss and hair thinning in New York, Boston, and New Jersey. We always carefully consider hair loss causes in order to create custom hair restoration treatments that are ideal to our patients. The topic of lupus-related hair loss comes up every now and then amount among our patients and our peers. Let's take a moment to consider hair loss related to lupus and what can be done to address it. Lupus is an autoimmune disease that can affect any part of the body. With that in mind, many people suffering from lupus experience hair loss, due in large part to the inflammation to the skin caused by the disease. Medicines prescribed to treat the overall effects of lupus may also accelerate hair loss in patients. While this can be a traumatic experience for a patient experiencing the side effects of lupus, there are a number of things to consider before taking action, especially considering how easy it is to treat this hair loss. The most important thing to keep in mind is that most patients notice their hair grows back once the condition has been treated. However, it is also important to know that if the hair loss is the result of lesions caused by lupus, this is generally a permanent condition that requires early treatment. Should I use hair restoration medicines to address my hair loss from lupus? Early treatment should not include over-the-counter hair treatments, as these products are designed specifically to treat male-and-female pattern hair loss only, and is not a multipurpose treatment for anyone who is experiencing hair loss. It is best to consult your doctor to determine the cause of your hair loss before proceeding with any over-the-counter solutions, as these products may ultimately lead to additional problems down the road. Should I consider hair transplant to address my hair loss from lupus? Hair restoration surgery would not be well-suited for the hair loss associated with lupus since the hair will grow back with successful treatment. Surgical procedures would prove unnecessary in such cases. Although we mentioned that most patients experience at least some hair growth once lupus is treated, we also understand you may need an interim solution for a number of reasons, as hair loss can directly impact an individual’s confidence in many arenas. Hair Extensions: Hair extensions can be considered if you are experiencing hair loss due to lupus. These are custom-made extensions that can be attached by a number of different methods, including sewing, knotting, or adding in through tiny links. Wigs and Toupees: Wigs, while at one point considered taboo and tacky, have gone through a bit of a renaissance recently. In fact, so many are so well made, many people have a difficult time identifying it's a wig at all. With that in mind, a wig could be a good interim solution for you as your lupus is treated. Also experiencing a renaissance in popularity is the fashion wrap. While your condition is being treated, consider taking a page out of many fashion books and experiment with wraps, scarves, bandanas, and other accessories. A simple Google search will yield a number of examples that you can apply and customize to match your personal style. 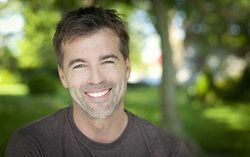 For more information about hair loss and your many different treatment options for hair restoration be sure to contact our hair restoration specialists today. Our entire team looks forward to meeting you in person and helping you have a healthy head of hair.